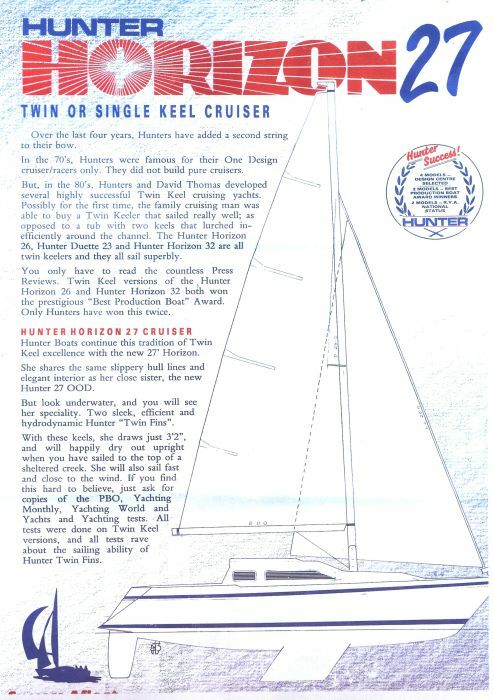 Designed by David Thomas and built by Hunter Boats of Essex. 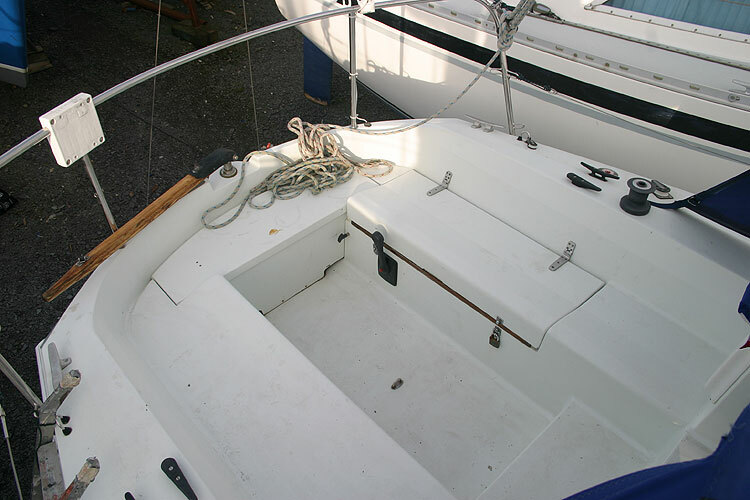 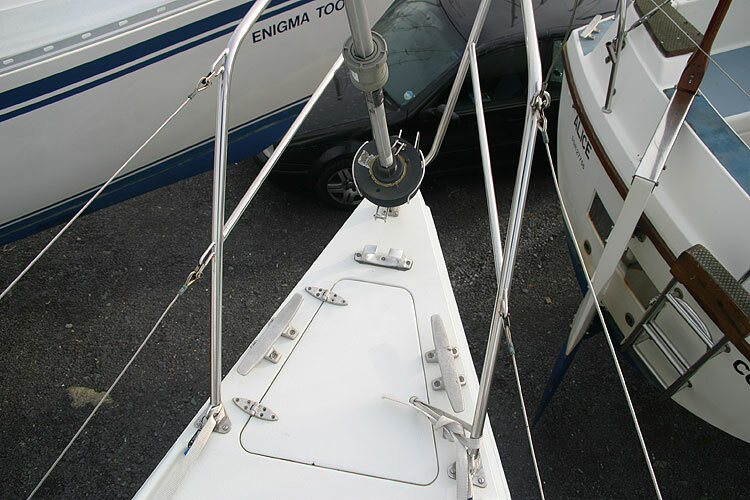 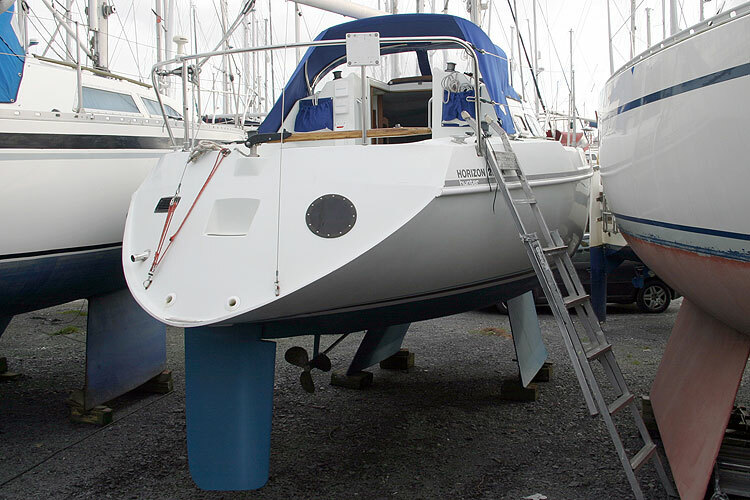 A twin keeler equipped with slab reefing on the main (with lazyjacks and stack pack), roller reefing on the head sail and a nearly new Yanmar diesel engine. 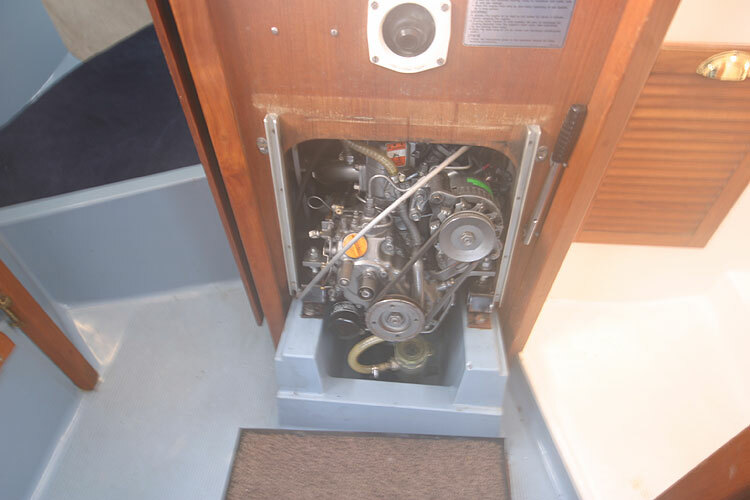 With a reliable and economical Yanmar GM10 diesel engine (new in 2004) and shaft drive, the vessel has only been lightly used and has exceptionally low engine hours. 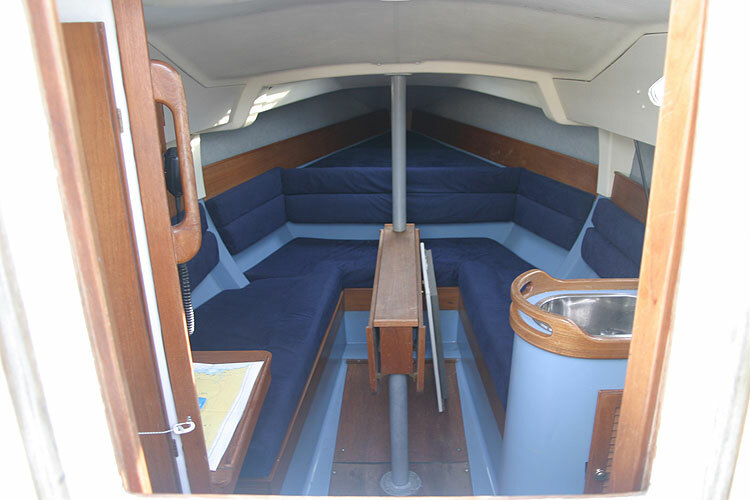 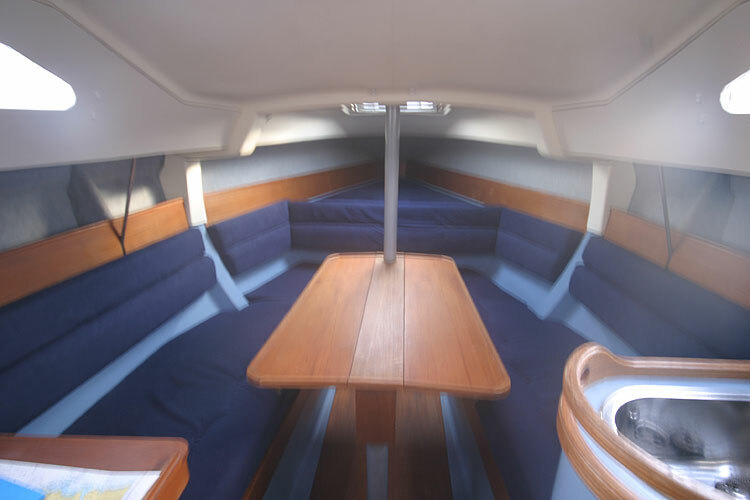 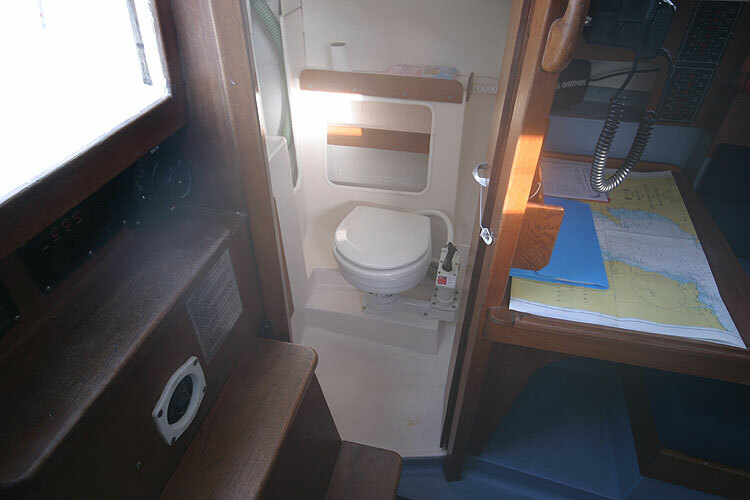 She has full standing headroom in the galley/heads area, an open plan saloon and separate heads compartment. 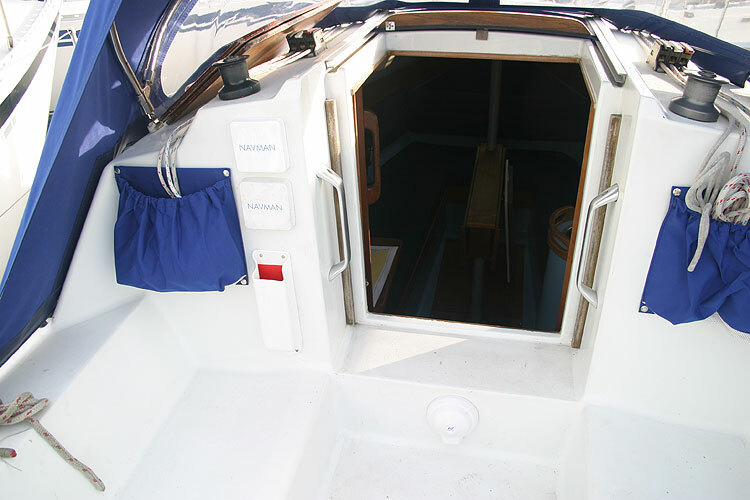 The cockpit has a large locker to port and is fitted with the Navman log/depth/wind instruments. 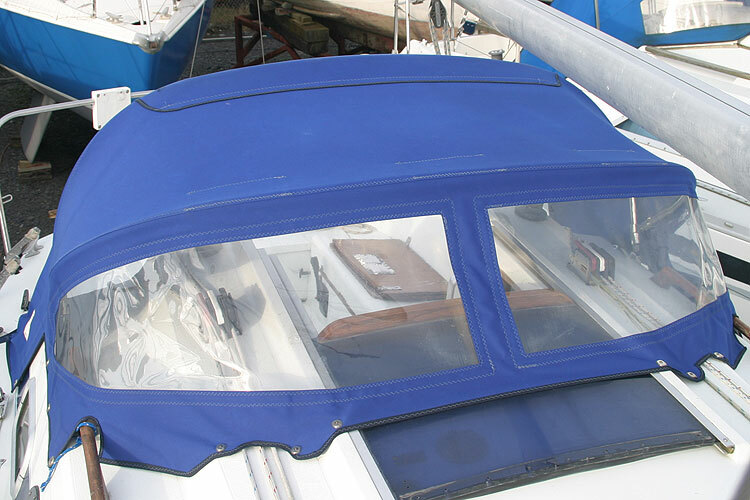 New dodgers and spray hood were fitted in 2007. 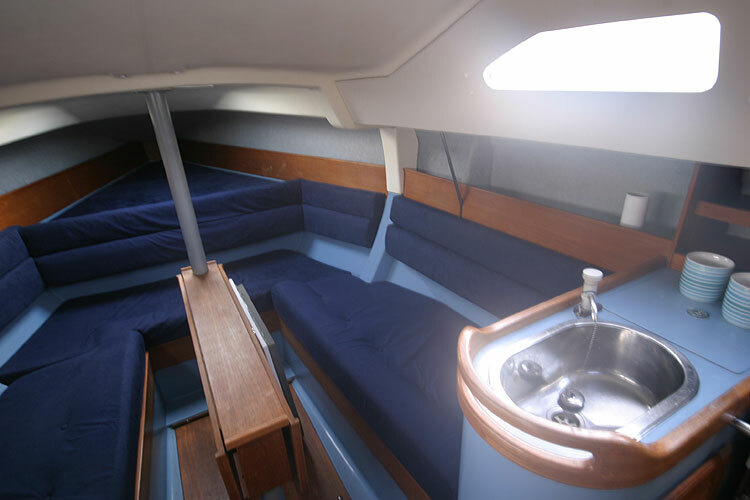 The current owners bought her in 2007 and carried out an extensive refit with no expense spared to prepare her for cruising. In 2008 she completed a two week cruise to Ireland from North Wales. 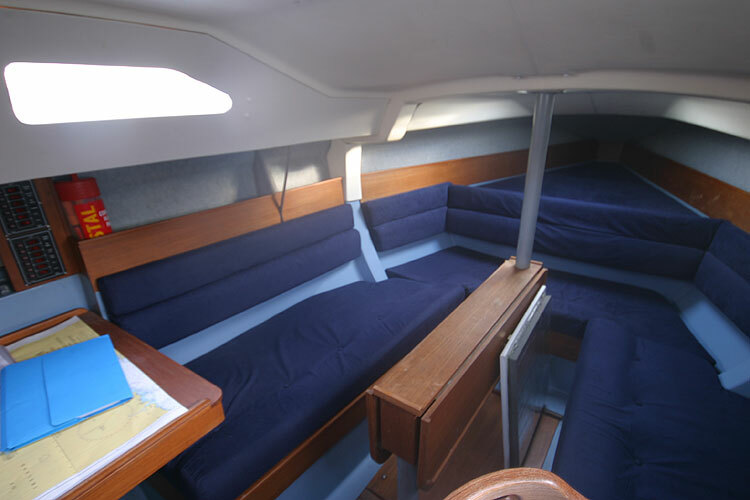 Six berths in 2 cabins, although better considered as a 4 + 2. 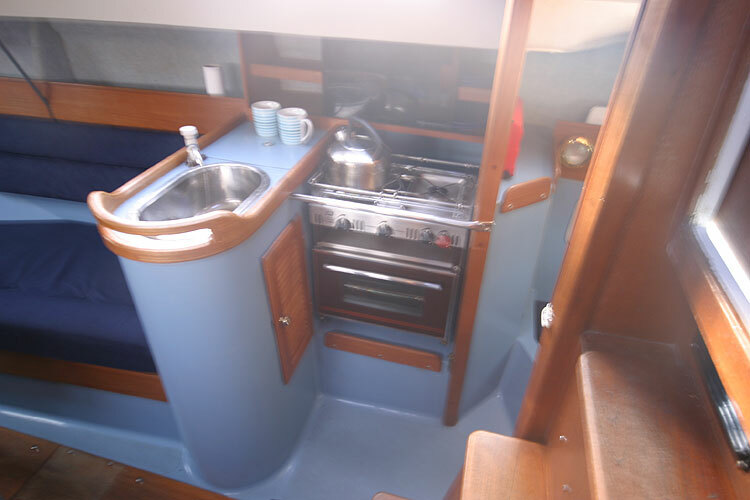 Plastimo Oven, grill and two burners. 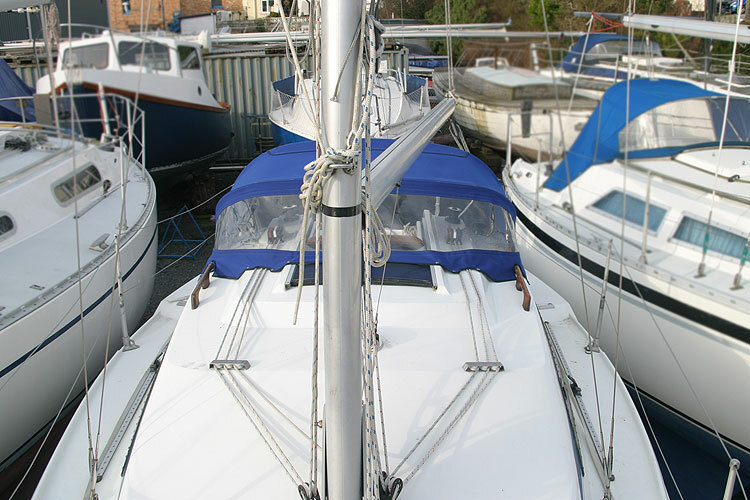 Main with slab reefing with stack pack and lazyjacks. 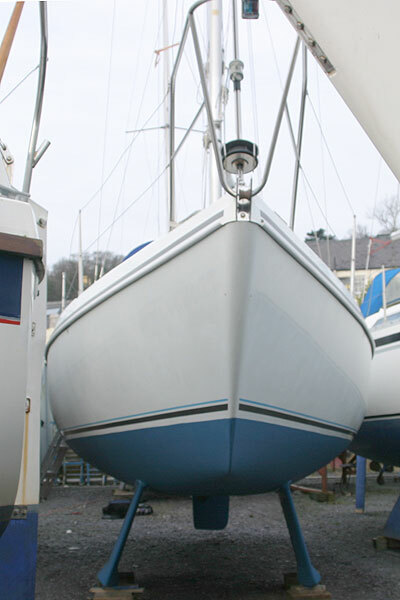 All sails in good condition and were laundeed and refurbished in 2007. 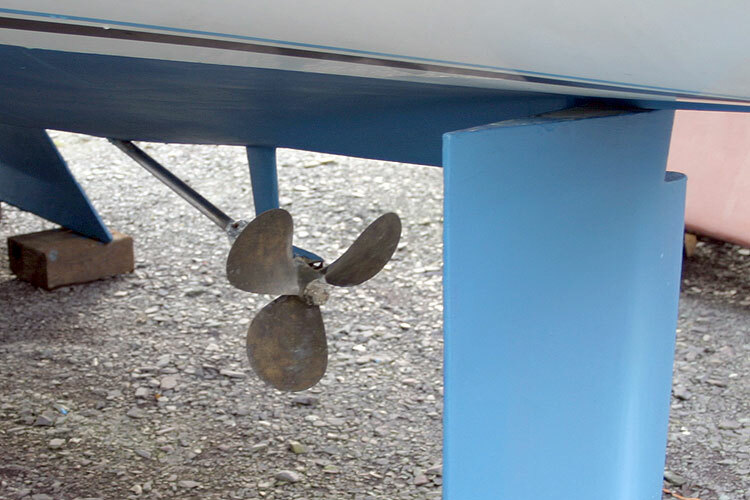 Plough main anchor, chain and warp. 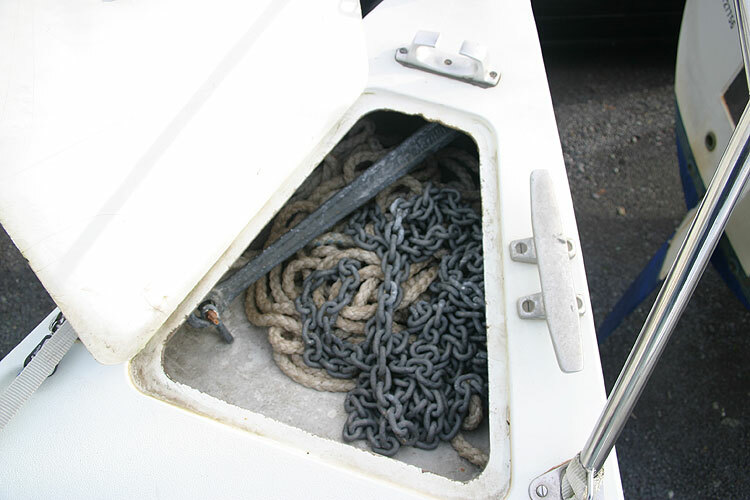 Danforth kedge anchor, chain and warp. 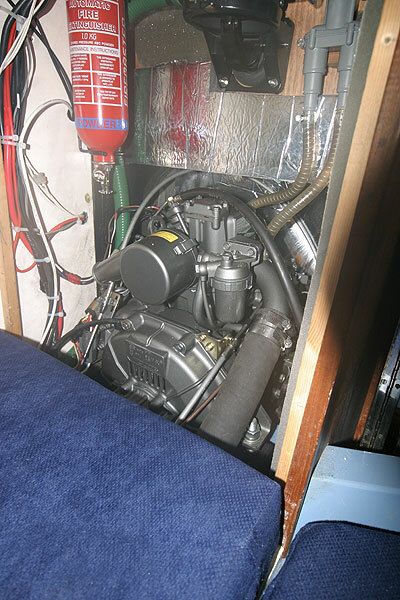 Yanmar spares and service pack. 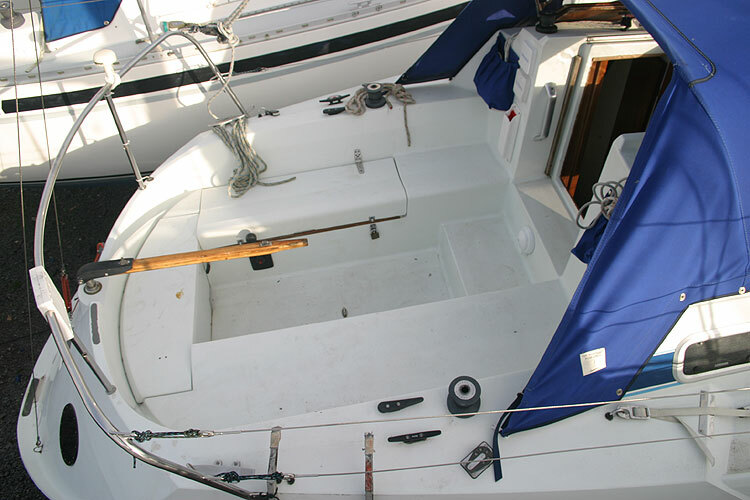 She has a fractional rig with furling genoa, lazyjack and stack pack system. 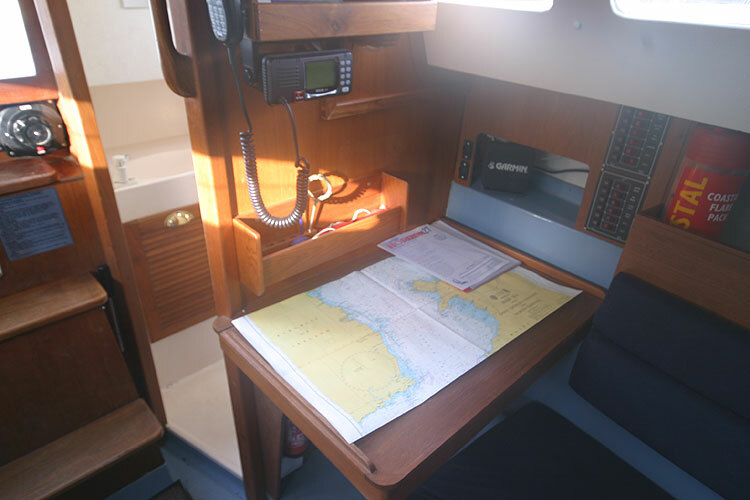 All lines are lead back to the cockpit making her easy and safe to sail. 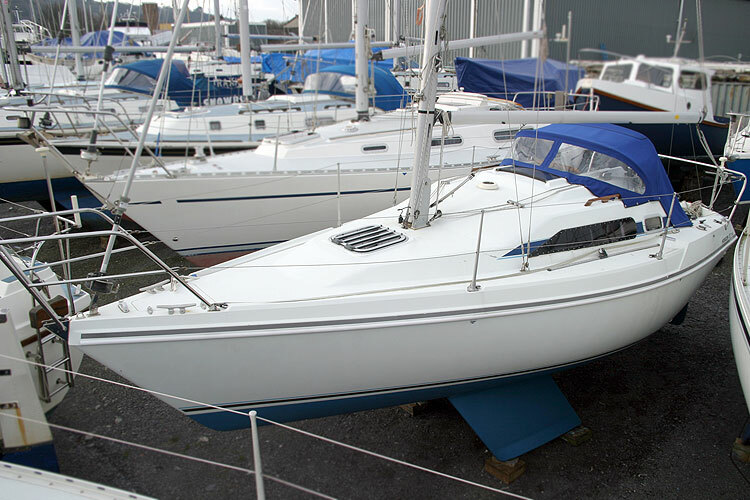 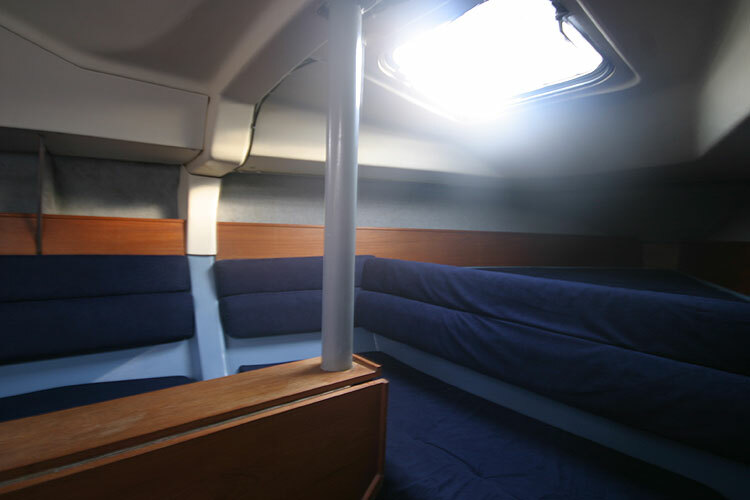 The Horizon 27 has a reputation for excellent sailing performance yet is also stable and reassuring as a cruiser with full standing headroom of 1.8 metres (5ft 11.5ins). 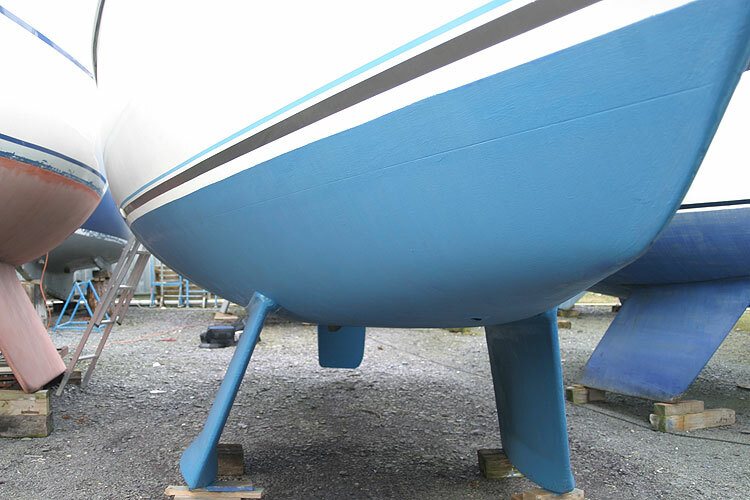 6 coats of International Gelshield 2000 applied below the waterline. 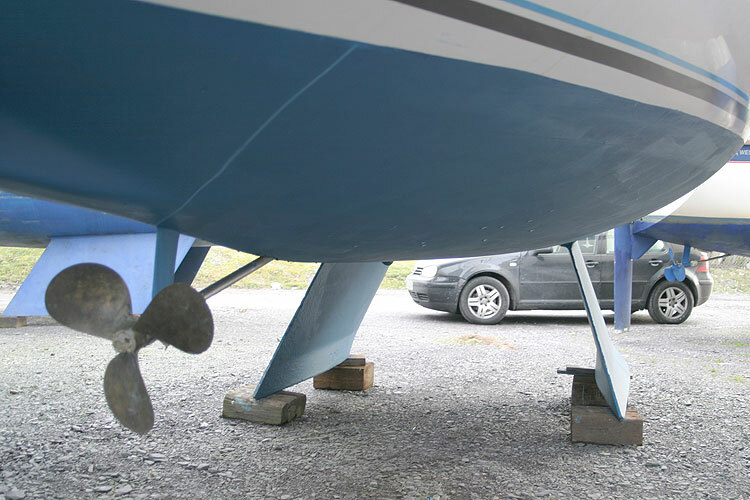 4 coats of Primocon applied to keels. 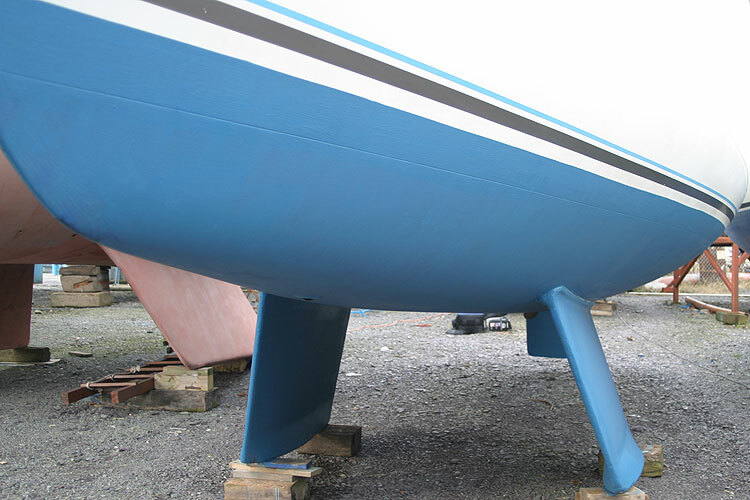 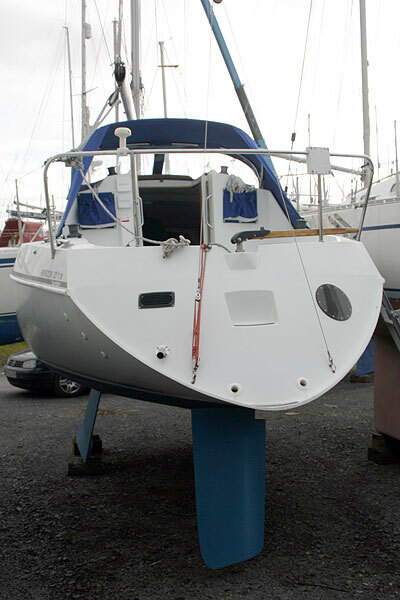 2 coats of International Uno antifouling. 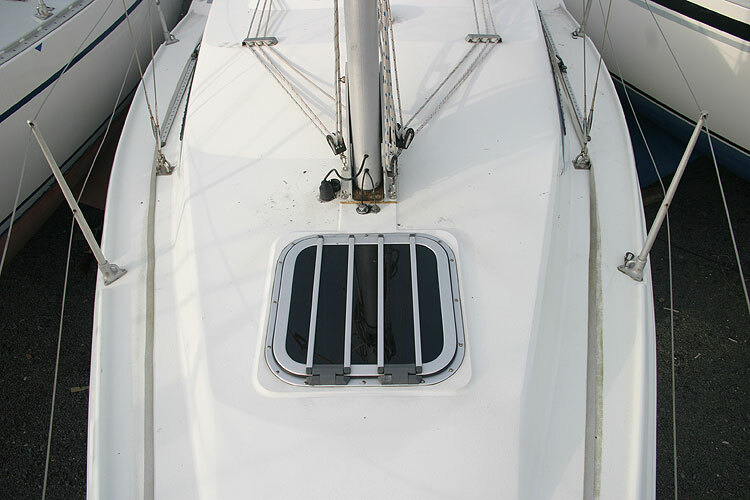 Windows replaced by Eagle Windows. 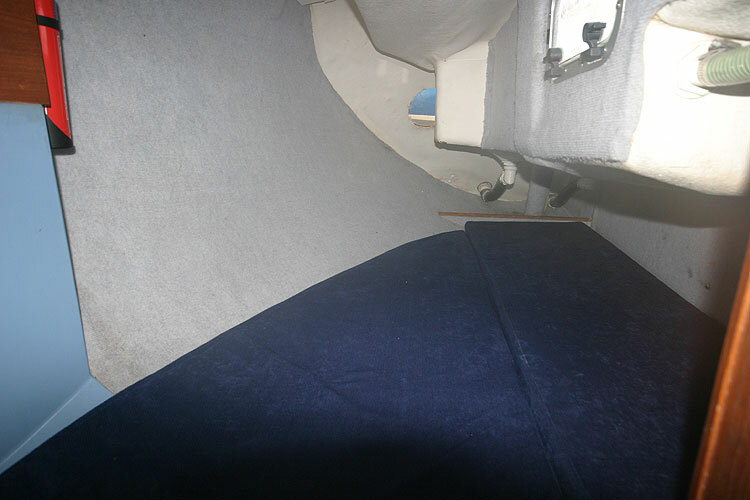 All haliards and reefing pennants. 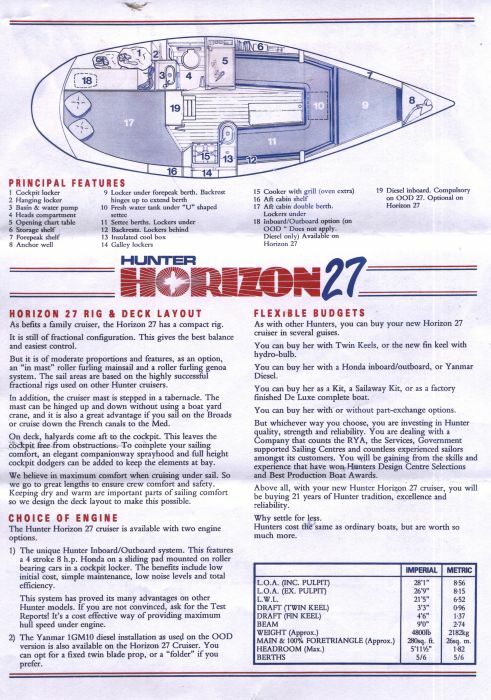 This boat is no longer for sale and remains here solely as an information resource for those researching Hunter Horizon 27 Twin Keel's.